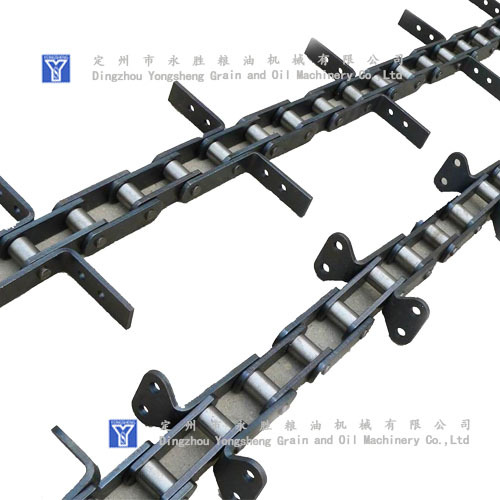 Product categories of Scraper Conveyor, we are specialized manufacturers from China, Oil Seeds Transmission Scraper Conveyor, Grain Chain Scraper Conveyors suppliers/factory, wholesale high-quality products of Industrial Chain Scraper Conveyor R & D and manufacturing, we have the perfect after-sales service and technical support. Look forward to your cooperation! Scraper Conveyor is the equipment which can continuously transport bulk materials by means of moving chains in closed rectangular casing,which is widely used in coal, grain, chemical, metallurgy, mining, machinery, light, electricity, building material, transportation, environmental protection industries. 1. Simple structure, light weight, small volume with occupying space. 2. Totally-enclosed and robust equipment, high durability, dust-tight and an anti-pollution construction design. 3. Simple assembling procedure and convenient installation. 4. Multiple inlets and outlets. 5. Material temperature is lower than 120ºC, special design for higher temperature, with conveyor installation angle up to 30°. 6. 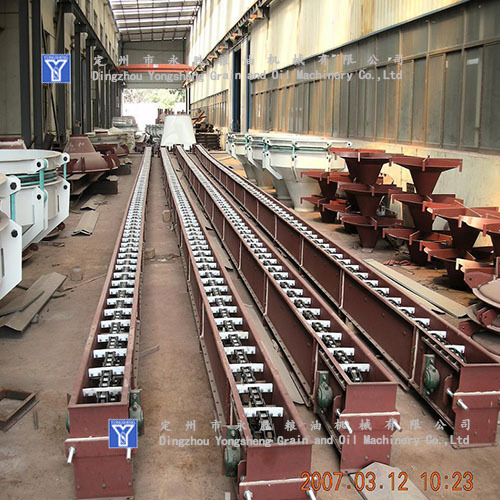 This kind conveyors can be connected together to achieve a production line. 7. Customized capacity, customized length, customized material etc. 8. If required, SEW, Flender, Sumitomo driven device. 9. Apply to powder, bulk, granular material etc.